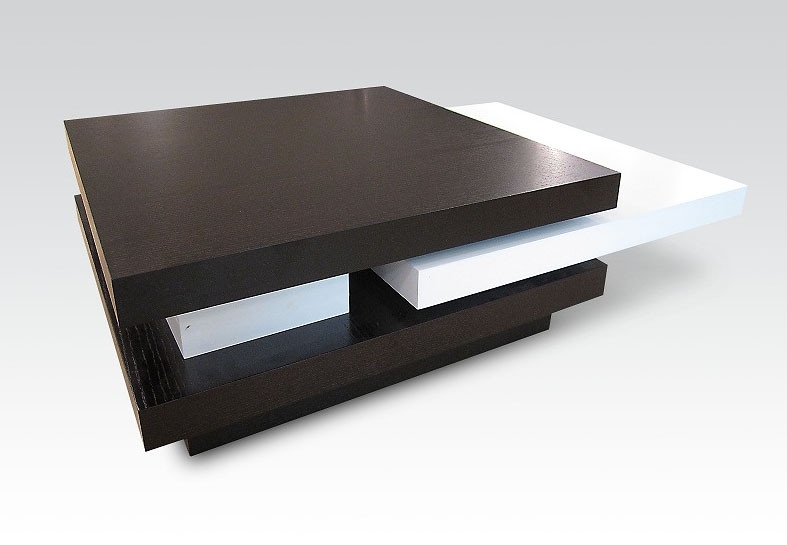 A uniquely designed coffee table. It comes in a dual tone of brown and white. 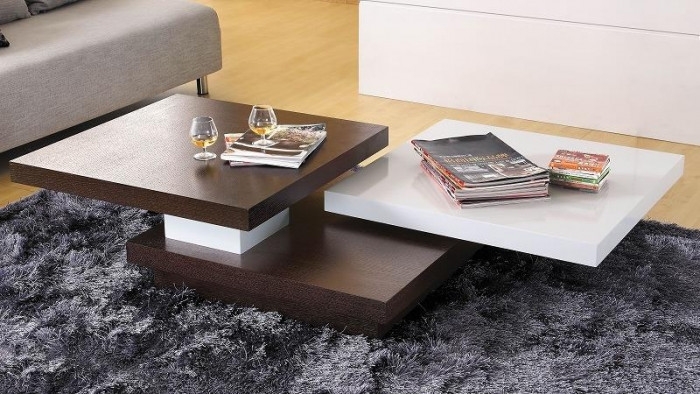 The table features squares on the top that can be extended and rotated in order to create a larger surface area or to fit into a small spot. Clean with a surface dust cleaner and a soft cloth. Coffee Table: W48" x D32" x H11"